How many times have you thought I'd rather be with my dog than anyone else. Now you have the perfect t-shirt. 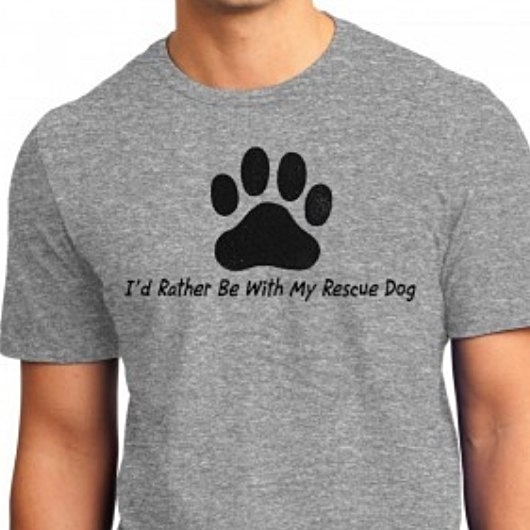 90% cotton/10% polyester with a rescue design and the phrase I'd Rather Be With My Rescue Dog. Unisex cut. Machine wash cold. Tumble dry low. Cool iron if necessary. Non-chlorine bleach.